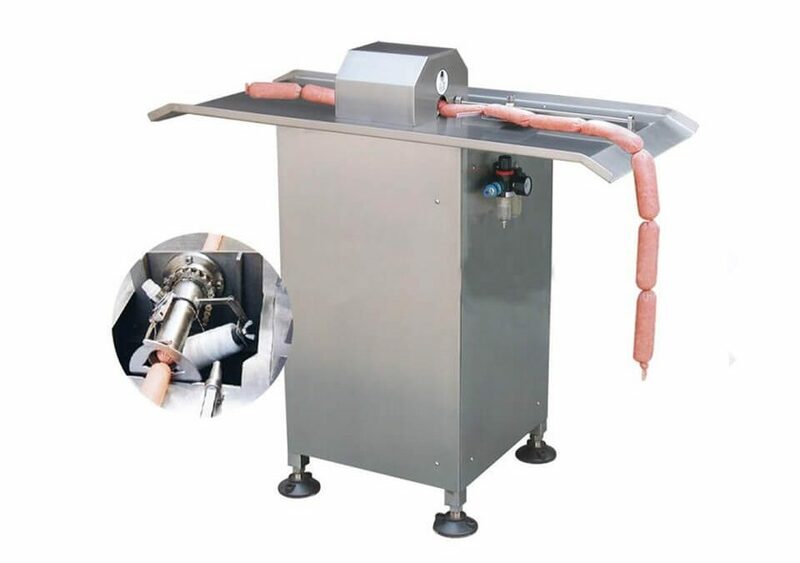 Sausage tying machine is used for twisting and clipping final filled sausage. 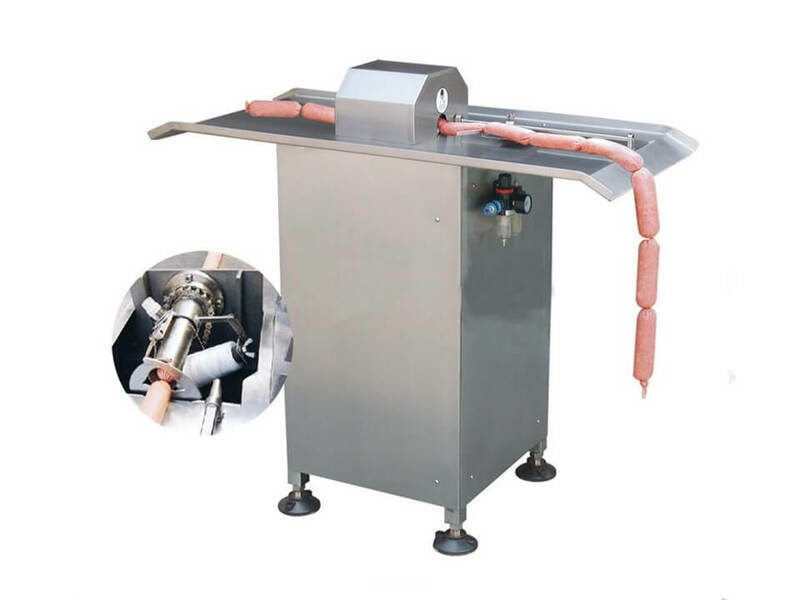 The semi automatic sausage knotting machine is ideal for tying in continuous rows. 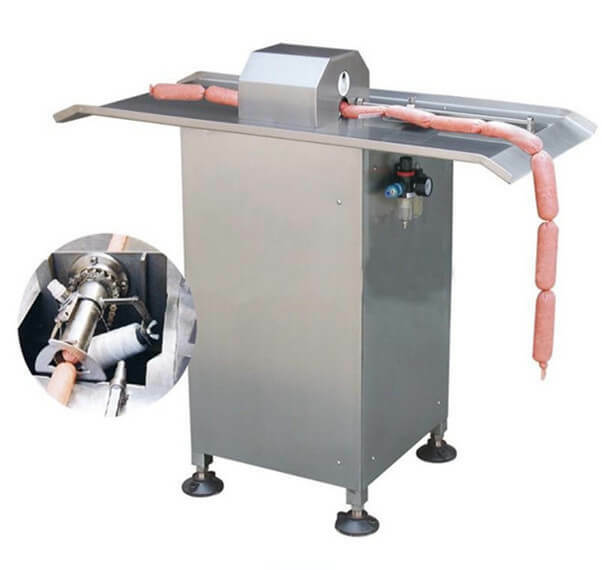 This sausage linker machine is electromechanical and the tying speed and length of the sausage can be easily adjusted. 1. Stepless adjustable length for filling. Accurate and Even. 2. 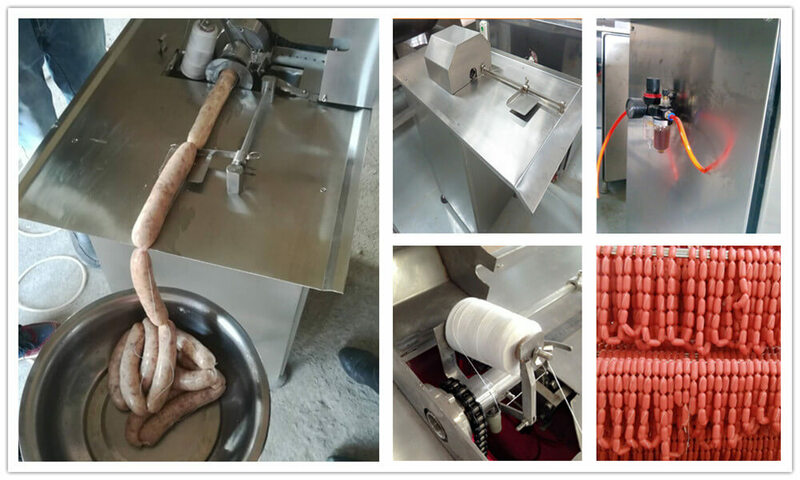 Just by drawing the thread, the sausages needn’t to be cut when packing. 3. 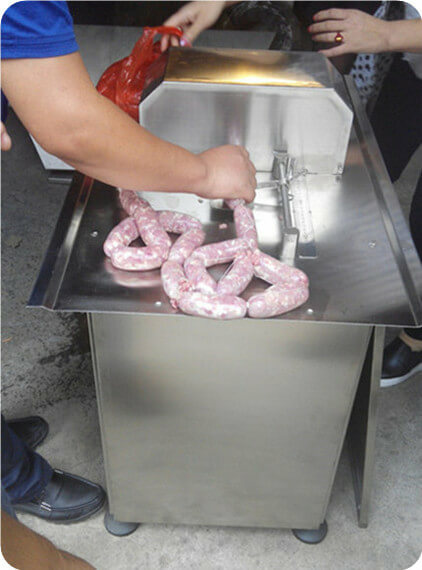 The sausage linking equipment is labour saving and has no contamination. 4. Reliable performance, low maintaining cost.